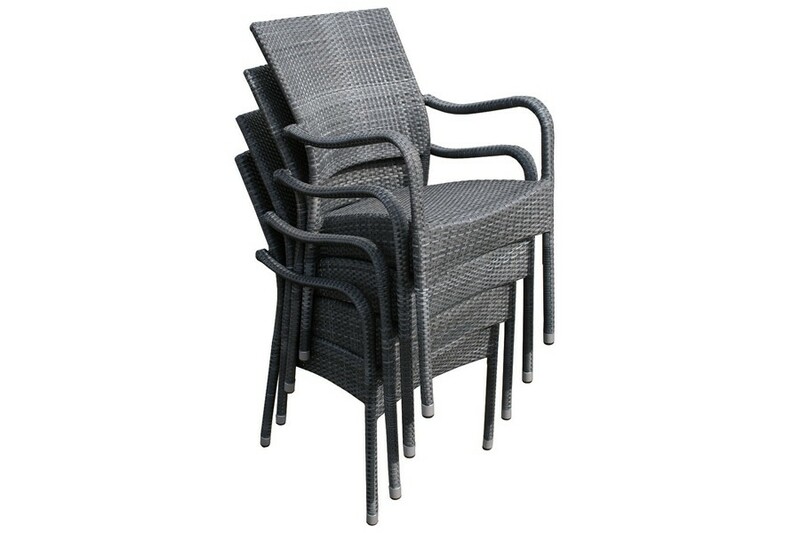 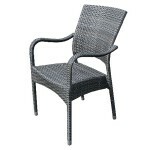 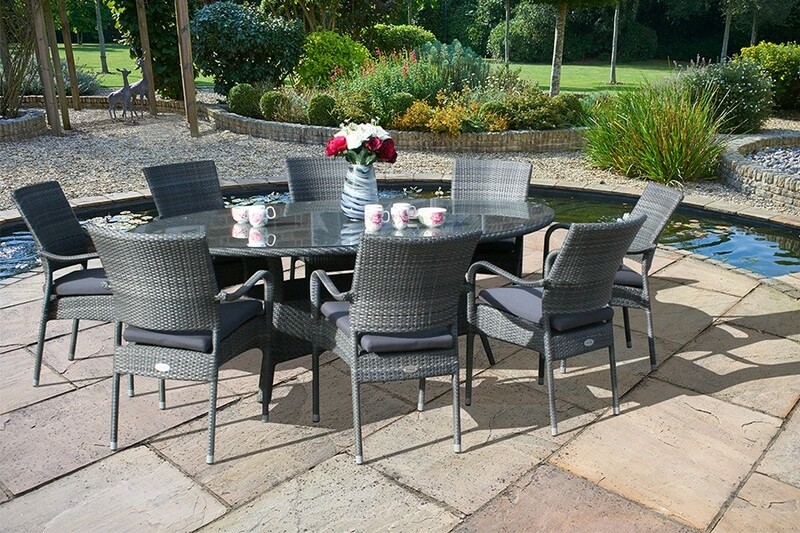 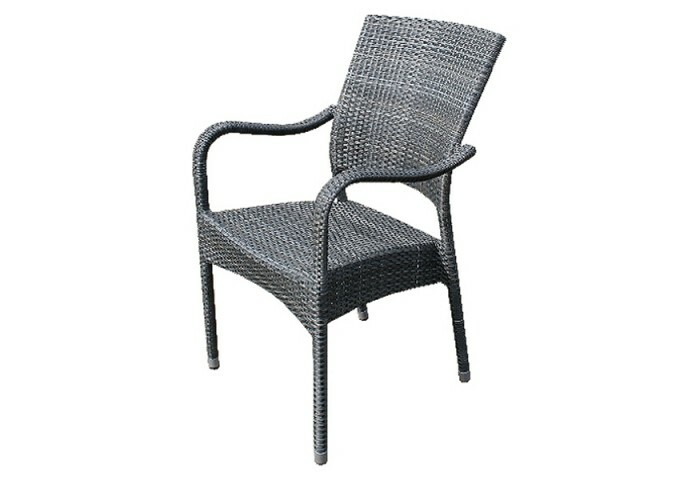 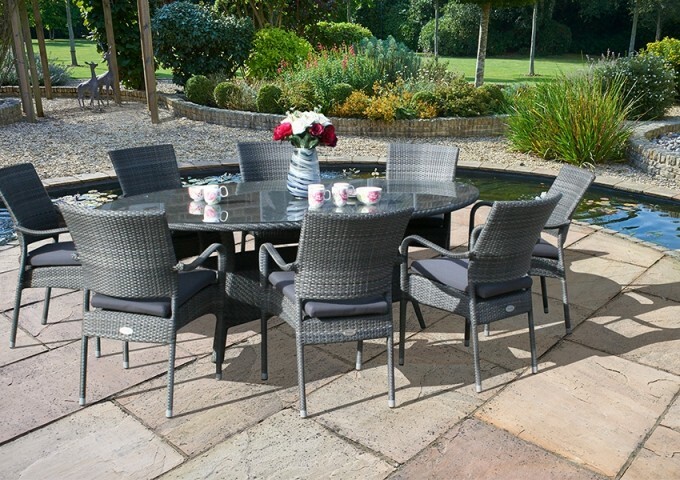 This large Rattan garden furniture set offers tremendous value for money and high levels of comfort making it the ideal way to entertain friends and family. 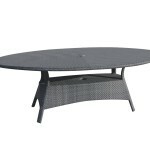 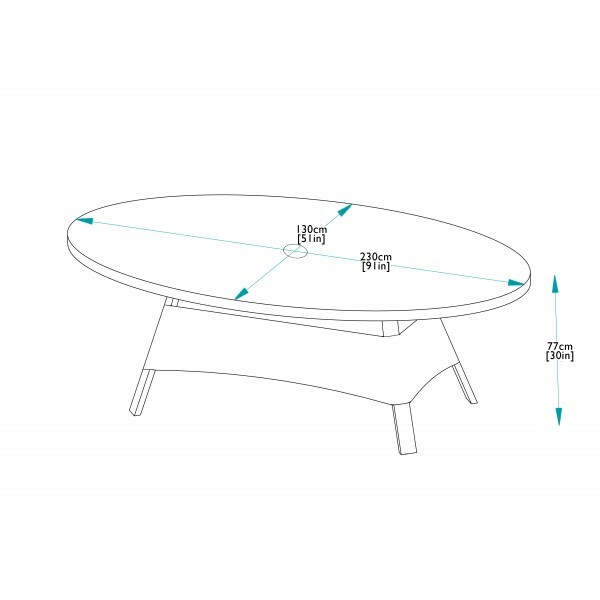 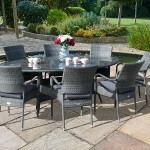 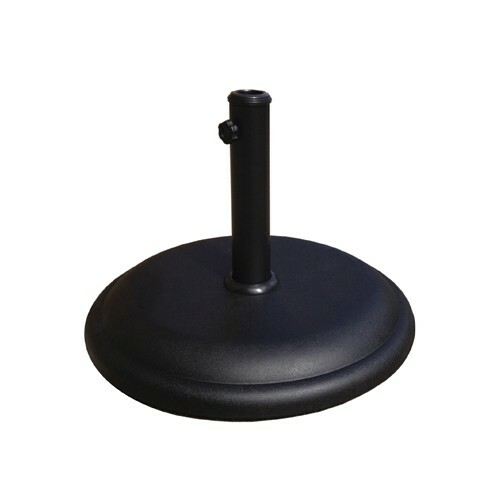 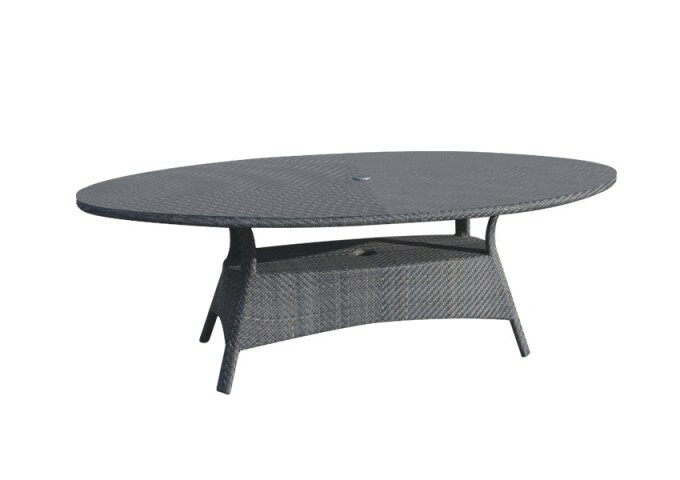 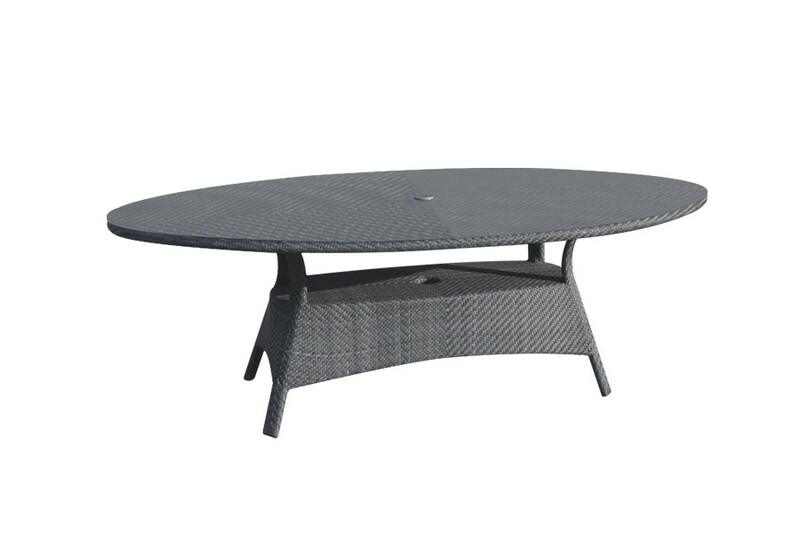 The table is supplied complete with toughened safety glass, and extremely comfortable stacking armchairs. 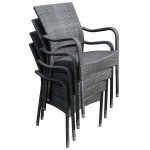 For extra comfort, optional waterproof seat cushions can be added. 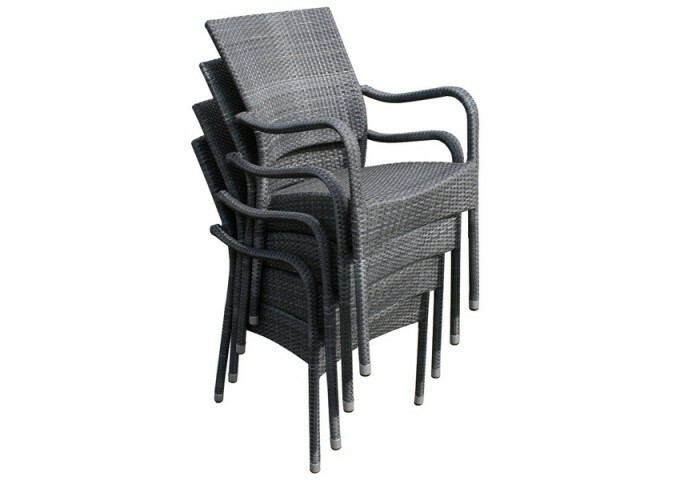 The furniture is made to be left outside all year round, however if you want to store them the chairs stack enabling ease of storage. 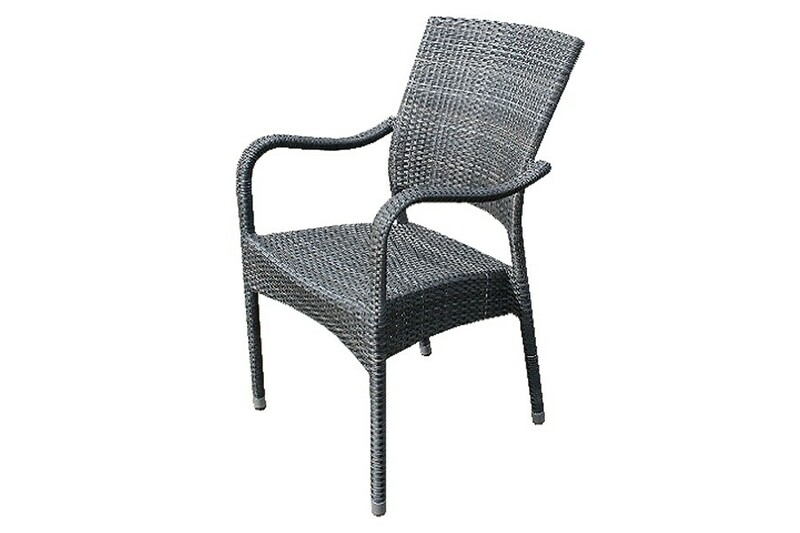 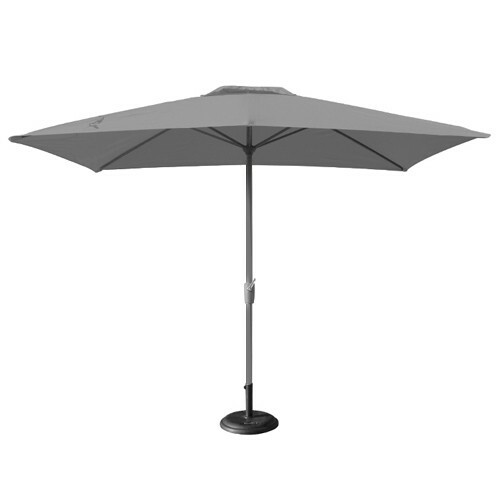 As part of the Bridgman All Seasons range, the synthetic Rattan is of the highest quality and it is hand woven around a powder coated Aluminium frame. 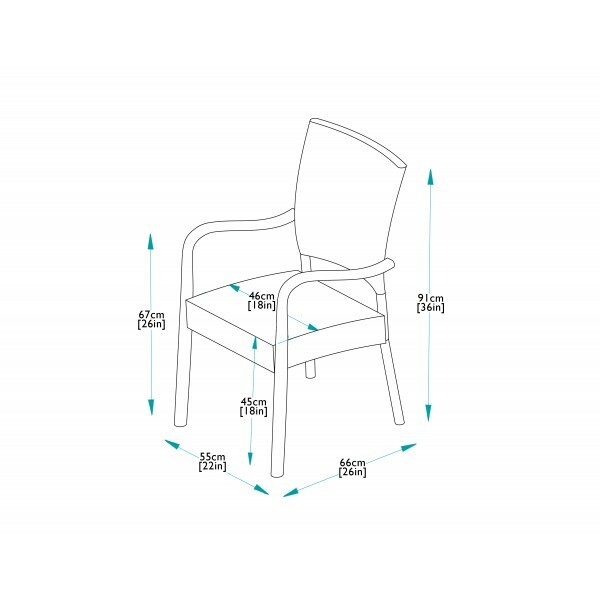 All of the furniture has been extensively tested to withstand temperatures ranging from -70°C to +80°C, and comes with a 10 year guarantee.